Winners and a contest and Bravo Maurice…oh my! The week has just FLOWN by! Today is Perfect Picture Book Friday where I link up with Susannah Leonard Hill’s fantastic group of picture book writers, illustrators, librarians and others who contribute a picture book review and related resources for parents, teachers and children. Last month I offered to donate 25 copies of Show Me How! Build Your Child’s Self-Esteem Through Reading, Crafting and Cooking to libraries across the country and around the world. I am disappointed that there weren’t more entries, but I’m thrilled to be sending books to the twenty libraries listed below. Please email me at vivian@positiveparentalparticipation.com and let me know if you would like to present the book to your library or if you’d like me to mail it to the library directly. Also, several of those who nominated libraries said they’d like to do a review of Show Me How on their blog/website/newsletter. Let me know if you still would like to do that…I’ll need your address in that case so I can send you a copy for yourself. And, for those who do a review, if you don’t have a need for the book after you have reviewed it, I would really appreciate it if you would donate that copy to a family shelter or other deserving organization. I’ll try to email everyone individually…and please forgive me if I spelled the library name incorrectly or didn’t have the city…and some of you did not give the actual library name. Congratulations, Milka at Perfecting Motherhood! A brand-new picture book will be on its way to you in the next few days! I don’t know if any of you remember the Valentine Poetry Contest over at Marylin’s Things I Want To Tell My Mother. Well, Marylin is having another contest for Mother’s Day. Write an original Mother’s Day card to any mother you know. I’ve entered with a verse I wrote for my daughter who is the mother of three-year old Jeremy…you can check out the post and enter the contest here. Maybe some of you will be inspired to add an entry. Are you ready for your picture book? 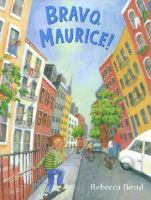 When Maurice is born, his family members are convinced that he will grow up to be like each of them. His father, who is a baker, is sure that Maurice has the big hands needed to knead bread. His grandmother believes that Maurice has a nose just like hers and is sure he will become a wonderful gardener. As Maurice grows up, the members of his family make sure he has opportunities to try doing the things they love to do. Will Maurice follow in the footsteps of someone in his family, or will Maurice discover a voice of his own? What a beautiful story of a loving extended family! Even though Maurice’s family members wanted him to love what they loved doing, they were thrilled and excited when they discovered Maurice’s special gift. Young children should be encouraged to have all types of experiences. The story shows kids that we each have special talents and strengths and that everyone is unique and wonderful! This is a message parents MUST teach their children! It’s springtime! Take a walk outside with your little ones and observe the budding trees and bushes and the tulips and daffodils blooming everywhere! Maurice’s grandmother was an exceptional gardener and she encouraged Maurice to learn about planting. Gardening is a multi-generational activity and kids LOVE it. Why not make a planter and help your children plant some herbs that can be grown indoors or outside and then harvested during the summer and used in your meals. 1. Cut a clean milk container. 2. Use self-stick shelf paper to cover the outside. 3. Poke several holes in the bottom of the container. 4. Fill ¾ high with gardening soil. 5. Buy herb seedlings at the store or use seeds (parsley, basil, oregano, etc.) and plant in the soil. 6. Set planter on a waterproof tray or plate. 7. Water, set in a sunny spot and watch it grow! Nice crafts using milk cartons here at DTLK. Kids LOVE to help in the kitchen and cooking and baking are two of the best activities you can do with them…builds self-esteem, develops better literacy skills and strengthens the parent-child connection! 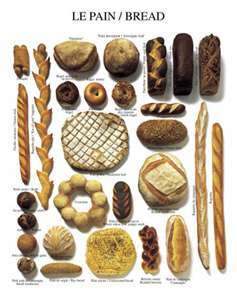 Maurice helped his father bake bread. Here’s a wonderful herb bread recipe from my book that you and your kids will enjoy. You will need: 3 cups flour, 1 tsp salt, 4 ½ tsp baking powder, 3 TB sugar, 1 Tb herb blend (oregano, basil, parsley, rosemary…your choice), 12 oz milk, a large bowl, and a 9×5 inch loaf pan greased. In a large bowl, mix the flour, salt, baking powder, sugar and herb blend. Turn the batter into the loaf pan and bake for 60 minutes at 325 degrees. Turn out and cool on rack…delicious toasted or plain. The public schools in our country have been slowly shrinking the block corner in the kindergarten…in some classrooms, it is non-existent. Block play and play centers have given way to ditto sheets and computer centers…in the false belief that the earlier we try to teach children to read and write, the more successful they will be in school. But of course, this was never true. The article relates that the Journal of Pediatrics has just revealed a study that shows we need to CUT DOWN on ditto sheets and screen time (TV, computers, leapster, etc.) and BULK UP on block play and the old-fashioned puzzles, pretend play, etc. I wish I could be happy to have my long-time argument in favor of PLAYTIME as a social and academic learning tool validated…but I”m not! I’m only sad, because I’m afraid the situation in the schools is not changing anytime soon. It will be up to each parent to insure that their young children are getting enough playtime…if you need to get a gift for your child…buy a good set of quality wooden blocks!!!!!! This entry was posted in Cooking with children, Crafting with Children, libraries, Perfect Picture Book Friday, Show-Me-How Library Project and tagged Barrington Area Library, Kalona Public Library, Public library, Troy Public Library by viviankirkfield. Bookmark the permalink. Me, I won? I was trying to remember how many times I commented on the books we’ve been reading on your blog. Well, thank you SO MUCH! You know we’ll be reading the book you send too. Let me find out for my library how they’d like to do it. I think I can just give them the book but I need to check. Can you wait till you hear back from me so you can possibly send both books together? I’ll be going to the library by this weekend and will email you then. Thanks again! Anna Maria Island Library, Holmes Beach, Florida. (Deal Island is where we lived in MD). Check it out! Kalona Library won a book! Oh, congratulations to all the winners! The book Bravo, Maurice seems to be a really good read. Hubby and I can relate to this… we all the think the same about what our little one would be when she grows up… we always tell each other that we will let her choose what she wants but nonetheless, will give her opportunities to try different things 🙂 I love the craft on the milk cartons! I just wish we have a garden area to put this… this is the downside of living in a building. This sounds like a book with a great message! I love the actvities! YAY my library won a book! Thank you! I went to a meeting about all day kindergarten yesterday and was pleasantly relieved that they are honing the learning to what the child naturally enjoys, but I am still nervous about all day Kindergarten for four year olds (spot the stay at home mom). I don’t know how many schools are involved with this kind of learning but it reminds me how they are in New Zealand and having moved from there it would have been awful to move to somewhere with a system that you don’t like. Phew! Thanks for telling us about your meeting, Catherine! I am not opposed to all day kindergartens…they’ve had them in some places, even when I was teaching many years ago. I guess the key will be a balanced day which includes healthful snacks and meals, physical play, creative play, music/rhythms,storytimes, arts and crafts, outdoor recess time. I’m sure this will sit well with many parents who work outside the home. First, congrats to all the winners!!!!! I’ll email you separately,Vivian. And I love this book and its message. What a wonderful way to encourage each child to follow his or her inner voice. Glad you liked it, Kirsten…it’s a sweet book that encourages every child to follow his own voice. 🙂 I’ll look forward to your email. This book sounds so encouraging for kids, and for helping adults know how to encourage our kids in their uniqueness! Thanks for the recommendation! Ooooh! I’m guessing by the resources you included, if Maurice’s special talent combines the gardening with the baking. I’d love to read this book. Thanks for sharing! Hmmm…I wonder what you are guessing. 🙂 It’s a cool book that shows how each family member wants Maurice to love their talent…but they are excited and happy when he finds what he loves to do. I am sure Chester Library branch will be thrilled that we’ve won your book, Vivian. Should I send you their information? If not, please instruct me if you need for me to deliver their prize. And thank you for hosting a contest to begin with. 🙂 I look forward to seeing your book. All those lucky libraries, Yay! I love the theme of this book. It sounds very solid that everyone want to share their passion but in the end they want Maurice to find his own vocation! The Old Colorado City Library thanks you, and so do I! And I also thank you for the connection to the “Write A Mother’s Day Card Verse” writing contest. Three young mothers in our area told me they have some ideas but don’t think anyone would be interested. I recommended your site for the special encouragement that might help them. And now we can hope they’ll also realize we’re all in this together and will try posting a Mother’s Day Card verse, too. It’s all about baby steps. Thanks, Vivian. That would be great, Vivian. Email me with a day that is good for you, and it’s my treat! You’re doing a wonderful job. Thank you Vivian. It will be a pleasure to deliver you book to my library. Let’s set a time to chat. Happy Day! Really enjoyed your PPB selection. It’s nice to see a book about how a family encourages, but allows Maurice to find his own gifts. Will have to get the book to see what his gift is. 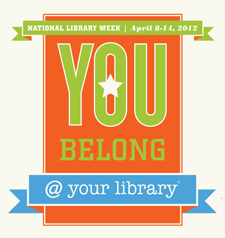 Congratulations to all of those who won your book for their libraries. Great idea. My library has your book, and I enjoyed browsing through itl Very creative. Nice resource for parents. Glad you liked Bravo Maurice, Pat! I’m so thrilled you found Show Me How in your local library…I know it is in several dozen across the country already and is a great tool for parents and teachers. 🙂 This project is going to enable another 20 libraries to have it available to their communities. Sounds like a great book. I look books that have extended families in them. Great activity ideas too. I just asked at my library today and they said the easiest would be for me to give them the book. They actually have to send it in to a collection development office so they can decide to put it in the system. It seems all very bureaucratic so I think I’ll read your book before I give it to them! So feel free to send both books together to my address, it will make it easier. Thanks again! I know, Milka. 🙂 I have encourntered that type of red tape as well…when my local library wanted to purchase 3 copies for their collection, they wouldn’t let me take a check and deliver it in person…they had to order it from Amazon so they could pay by credit card and then they had to pay shipping. I actually refunded them the postage out of my own pocket…but that’s how some big organizations are. I think that is a wonderful idea…so I will send the picture book and a copy of Show Me How to you in the next couple of days. I thank you so much for being such a loyal supporter and for embracing the importance of reading to your kids! It’s part of the San Diego County library system, which has almost 20 local branches, so yes, it’s quite big. But I can’t complain because it’s a great system. I can borrow as many books as I want and renew them as long as someone else doesn’t want them. I have access to millions of books through their computerized database and if they don’t carry it, they let me borrow from another library system in California (public or university). I know I’m very lucky compared to some people living in smaller towns and I’m making great use of the system!